Whether you’re in it for the spine-chilling descent hundreds of feet underground or the fascinating tales of dark history, abandoned mines can be great adventure or cultural additions to your travel itinerary. Some date all the way back to the 1000s, while others offer activities like Ferris wheel rides and even scuba dives, all deep below the earth’s crust. Check out these seven abandoned mines across the world that have been transformed into tourist attractions that you can visit (and learn from) on your next trip. Just a quick hour south of St. Louis, visitors can explore what’s left of Bonne Terre Mine, one of the earliest deep-earth lead mines in history and still one of the largest man-made caverns in the world. Bonne Terre Mine was the world’s largest producer of lead ore until it was closed in 1962, more than 100 years after its opening in 1860. Today, Bonne Terre Mine is one of the main tourist attractions in the state of Missouri. The upper levels of the mine are lighted, and visitors can book one-hour guided walking tours along the old mule trails, where miners dug with picks and shovels over a century ago. 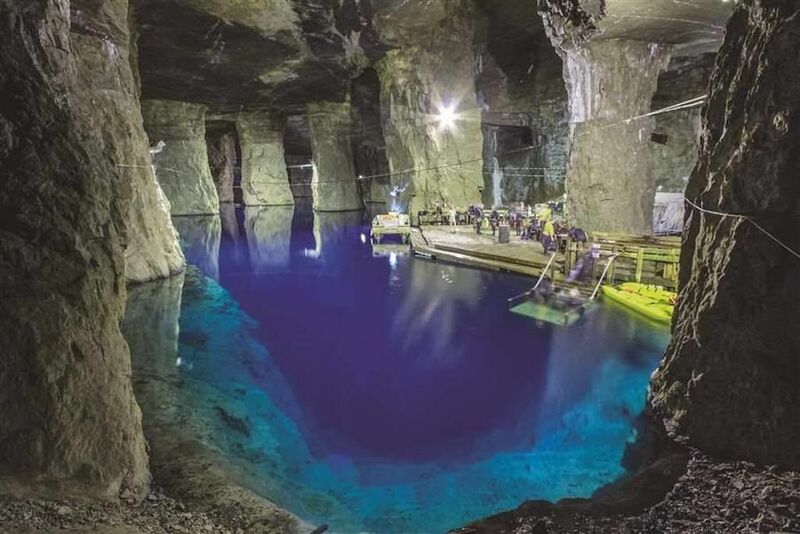 Visitors can also opt to descend deeper into the cavern, taking a boat tour of the billion-gallon, seventeen-mile-long lake that sits far below the surface of the earth. Boat tours afford eerie views of the mine’s abandoned shafts and equipment. But the bravest of souls will want to check out “deep earth diving” — Bonne Terre Mine is home to the largest freshwater scuba diving venue in the world. The lake’s clear, 58-degree water is illuminated from above, providing divers with visibility more than 100 feet down. 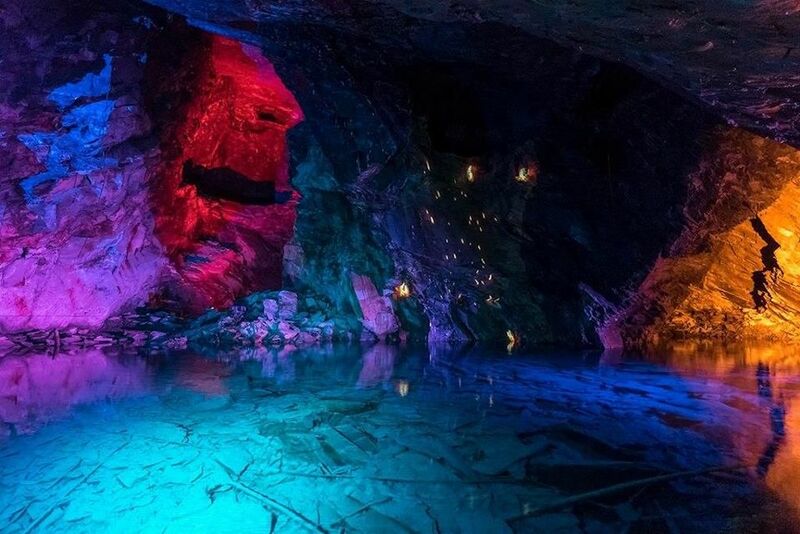 Visitors can descend into the Slate Caverns in Snowdonia, Wales, to experience everyday life as the mine workers knew it. When the Industrial Revolution exploded onto the scene and demand for slate hit its peak, the Slate Caverns employed over 17,000 men. The expansive underground caves are illuminated in eerie colors, giving the tour a truly spooky feel, and visitors can even opt to zip line, jump, and climb in the cavern’s underground playground. When in Wales, you may also want to check out the Great Orme Mines in Llandudno — the tunnels were mined out during the Bronze Age (over 3,500 years ago) in search of copper, and miners at the time would’ve worked with nothing more than stone and bone tools. The Great Orme Mines weren’t re-discovered until 1987. 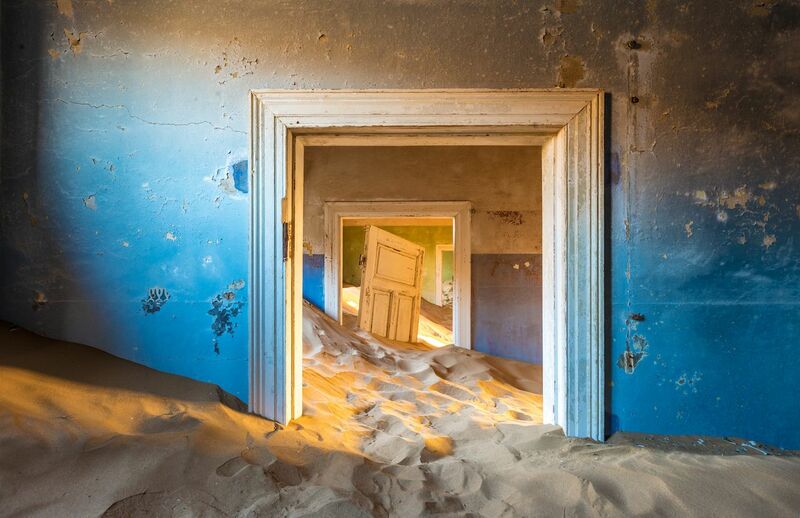 The sandy ghost town of Kolmanskop, located in the barren Namib Desert of southern Namibia, sprung up as a booming German diamond mining town in the early 1900s. However, when World War I broke out, mining operations came to a halt, and the desert has spent the years since reclaiming its territory. Today, what’s left of the town, including the mine, is covered in sand, which encroaches even into the interior of the buildings. By booking a tour in Luderitz, visitors can explore the houses and community buildings left behind by the Germans after mining operations ceased — at least until the elements swallow the uninhabited area completely. One of the most interesting spots in Transylvania, Salina Turda is a massive underground salt mine that dates all the way back to 1075. It continuously produced table salt from the Middle Ages up until the early 20th century. Today, it’s used as a popular halotherapy center and tourist attraction, with the amenities inside nearing amusement park levels. 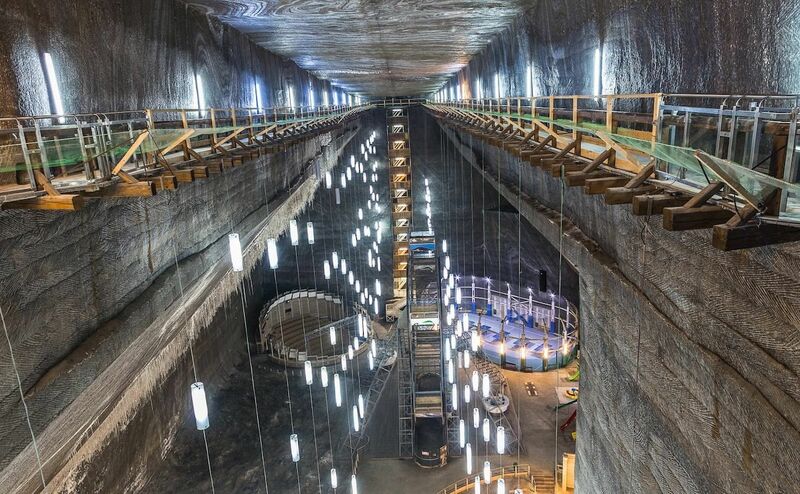 Visitors can view the extraction equipment, explore the underground lake via rowboat, experience the acoustics of the amphitheater, and even ride a Ferris wheel, all deep inside Salina Turda’s chilling depths. 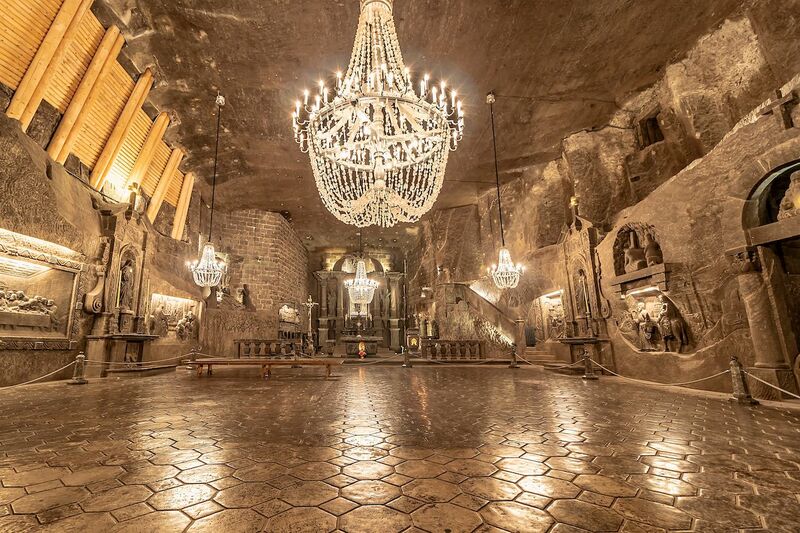 The site of the Wieliczka Salt Mine — also known as Poland’s Underground Salt Cathedral — dates back 6,000 years. However, the first mining shafts were not built until the turn of the 13th century. The mine went on to become one of the oldest operating salt mines in the world, producing table salt all the way up until 2007, and is now one of Poland’s official Historic Monuments. It’s also one of the largest tourist attractions in all of Poland, with more than a million visitors annually. Underground, visitors can explore winding passageways, four chapels, an underground lake, and even statues that were carved out of rock salt by the miners. 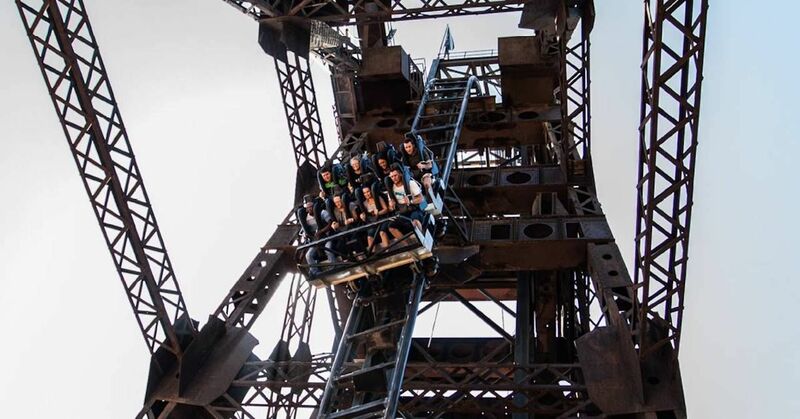 In Johannesburg, one of the top attractions for families is a theme park built on top of an old gold mine. Though Gold Reef City began its life as a working mine, it has since transformed into an action-packed theme park modeled to resemble the Gold Rush era of the 1880s. Staff don period costumes and the buildings are built to mimic the architecture of the time. Theme park-goers who want to add a bit of education to their day can even visit a museum and watch a demonstration centered around gold mining. Located on the outskirts of St. Cloud, Minnesota, Quarry Park and Nature Preserve spans over 680 acres with 20 abandoned granite quarries. 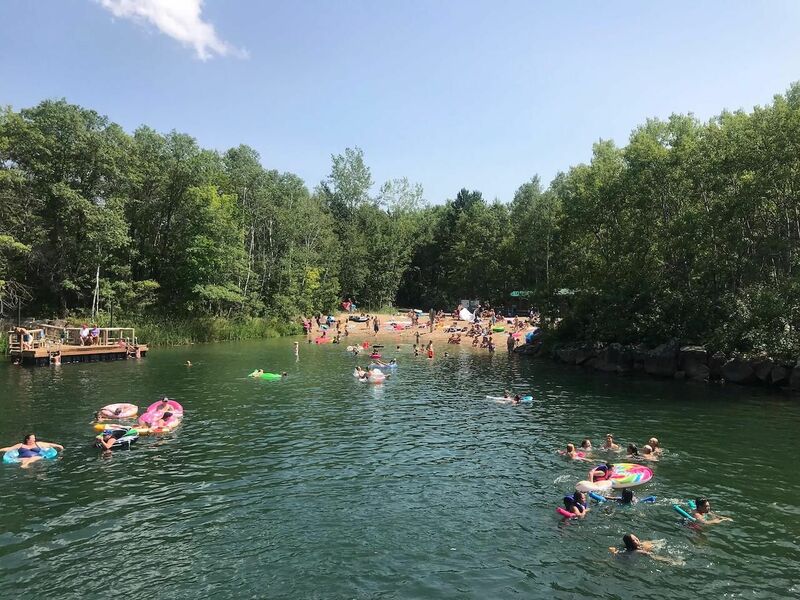 Today, those abandoned quarries are used for a variety of activities, including swimming, climbing, fishing, peering into the granite-reflecting pools, scuba diving, and — of course — capturing some envy-inducing Instagram photos. The county park also has miles of walking paths, allowing visitors to travel from quarry to quarry, as each has its own unique backstory.